Egami, the Japanese photography blog has uncovered more Canon patents. This time, the 85mm f/1.2 and 85mm f/1.8 design were accompanied by the 50mm f/1.4 and 100mm f/2. 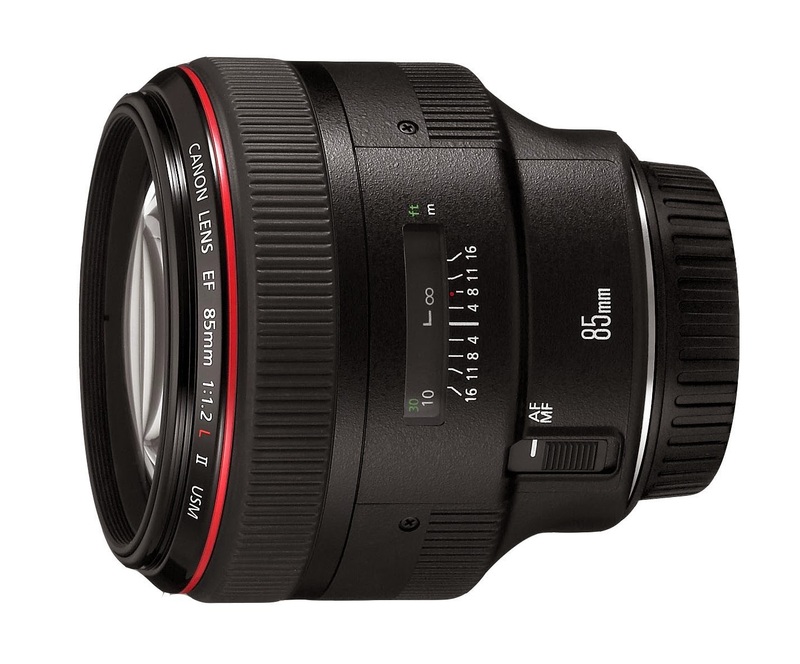 EF85mm F1.2L II USM will be renewed but one, and up to announcement, time to market from the announcement is not short, and current products I do not fade because it still may assume also rise. The optical system of the patent application, it becomes nine seven lens configuration is increased one than the current product, UD glass and two single-sided aspherical surface of one sheet is used, the difference between the current product is it is big. The current product 85mm F1.2 Filter diameter has been done in 72mm while that spec. 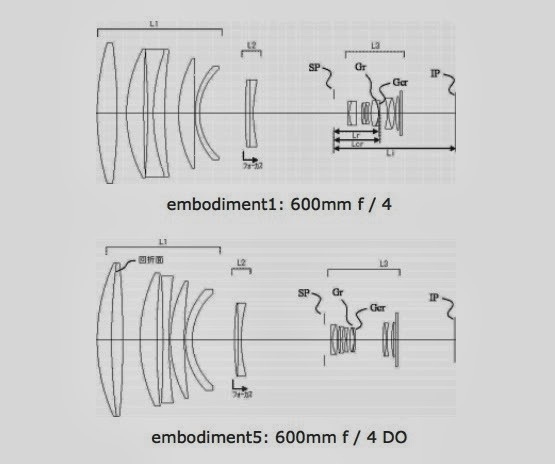 Beam effective diameter of the front lens of the patent application is so 68.55mm, 72mm filter diameter is pretty hard, was a filter diameter of 72mm from the FD lens era 85mm F1.2 may have changed finally. Focusing is a front group feeding, but whether I will become the power to focus the current product as well. Optical system will be described later 100 mm F2.0 I hits sister relationship with. The optical system of the patent application of the current F1.8 USM EF85mm are seven groups of nine number Same as, UD glass and a single one-sided aspherical one is used, it seems to contribute to the performance improvement. STM also or will be adopted soon focusing so inner focus. 50 mM F1.4 manufacturer that is not renewed the Canon were good and only leave. But the property of their respective owners 50 mM F1.4 much priority on performance, just so expensive product, and I do not necessarily say and renewal. Canon How would a policy of either. The patent application EF50mm F1.4 USM is feeding the entire similar. The eight and seven groups, seems to have increased by one. Described above 85mm F1.8 and optics is the rule sister relationship. F2 USM EF100mm special glass material does not seem to be used but, UD two pieces of glass are used in the patent application, lens configuration since it has been nine seven groups increasing one, and have contributed to the aberration mitigation I might. Mean that sister model, this place is an inner focus. 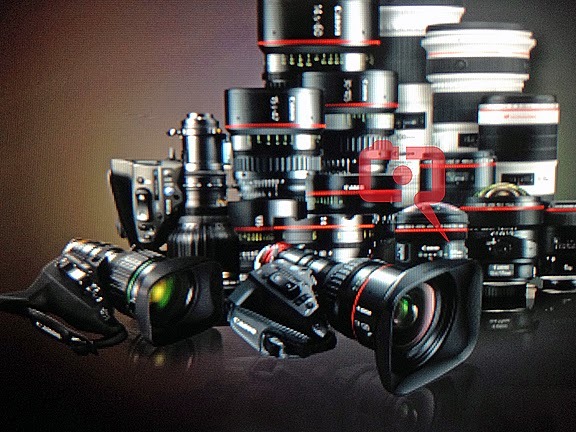 Canon is expected to announce a new lens for their Cinema EOS line next week at the NAB 2014 Show in Las Vegas. They may also announce additional Cinema cameras or their development at the same time. The show runs from April 5 - 10. Keep checking back for the latest development. Canon has made the Cinema EOS line of cameras one of their top priorities in the last couple of years. Word is they may be planning to introduce an entry level 4K camera, designated as the C200, and a semi-pro model, the C400 at the upcoming NAB show. 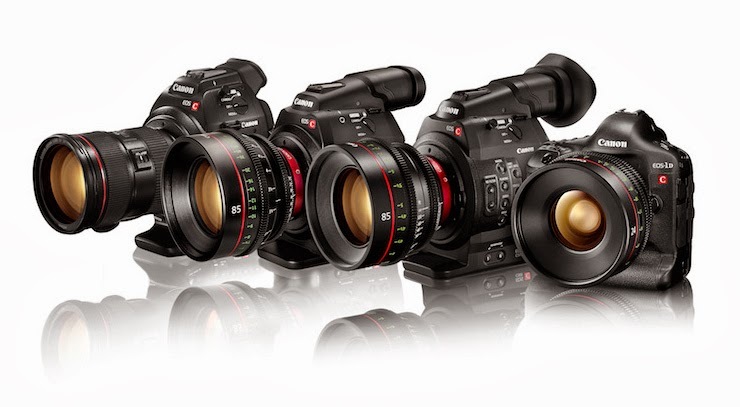 The current Canon 4K lineup are the EOS-1D C and C500 but they have their design limitations. There are also great interest in alternative method like using Magic Lantern software to produce high quality videos using non 4K cameras. The NAB 2014 is taking place at Las Vegas in about one week. There are usually no exciting news from the show but this year Canon may shake things up a bit. Keep checking back for the latest development. Lauschsicht.com, a Swiss company produced a series of six short videos films for Swiss Airlines. They employed various cameras, including the Canon EOS 5D Mk III. The videos demonstrate how powerful Magic Lantern software can be for those who know how to use it. 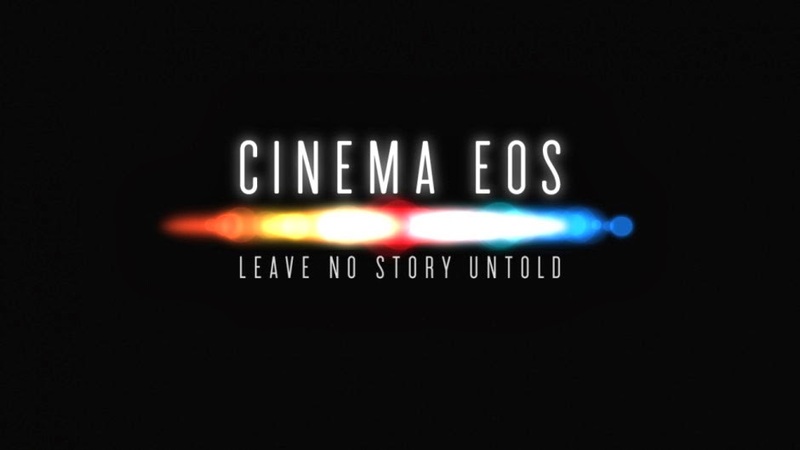 One of the videos was produced by utilizing two EOS-5D Mk III running Magic Lantern (1080p 25 RAW). Camera movement was controlled by BeSteady and Rhino Slider. Remote phosphor lights were used to light the scenes. The editing was done in Premiere Pro and carefully graded in Resolve. At NAB Show 2014 in Las Vegas (April 7-10), ZEISS will be showing its entire portfolio of lenses at booth C9042. Everything from SLR lenses, such as the high-end Otus 1.4/55, to the Compact Prime CP.2 and Compact Zoom CZ.2, to the ARRI/ZEISS Ultra Prime, ARRI/ZEISS Master Prime and ARRI/ZEISS Master Anamorphic lenses will be on display. The booth will also have the 3D-multimedia video glasses ZEISS cinemizer OLED, which functions as an electronic viewfinder for video cameras. 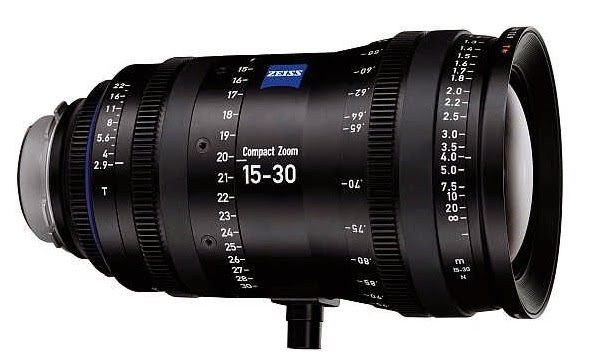 A highlight will be the first-ever unveiling in North America of both the ZEISS Compact Zoom CZ.2 15-30/T2.9 and the ARRI/ZEISS Master Anamorphic MA 135/T1.9, the seventh focal length that now completes the successful Master Anamorphic family. The MA 135/T1.9 now completes the successful Master Anamorphic family jointly developed by ARRI and ZEISS and exclusively distributed by ARRI. ZEISS looks forward to presenting the new focal lengths of these two cine lens families to visitors to the NAB show. In addition, alongside other ZEISS lenses, the new products can be tried on the latest cameras at the ZEISS booth. Visitors will also be able to experience the cinemizer OLED. For the ambitious cinematographer, the cinemizer OLED also opens up fascinating shooting possibilities when connected to camera drones. There is no secret the photography industry is in turmoil the last few years, suffering from lower sales and profits. Many companies are frantically looking for new ways to energize photography fans by introducing fluffy technologies and retro body designs. Now rumor is Sony may also be considering a Medium Format camera as well. Canon and Sony are the only two major sensor manufacturers. 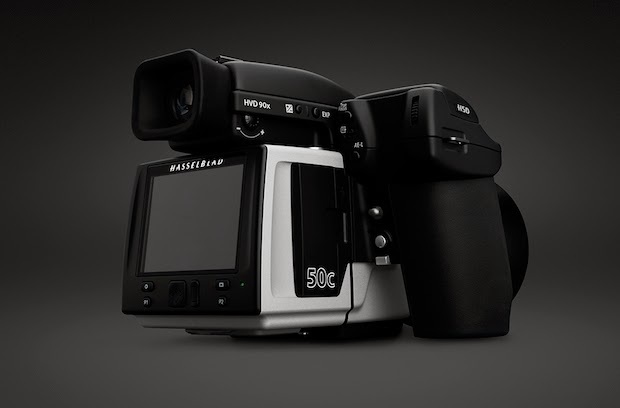 Sony supplies most of the sensors Nikon uses on their higher end cameras and provides Hasselblad with the 50MP sensor on their upcoming H5D-50C Medium Format camera. 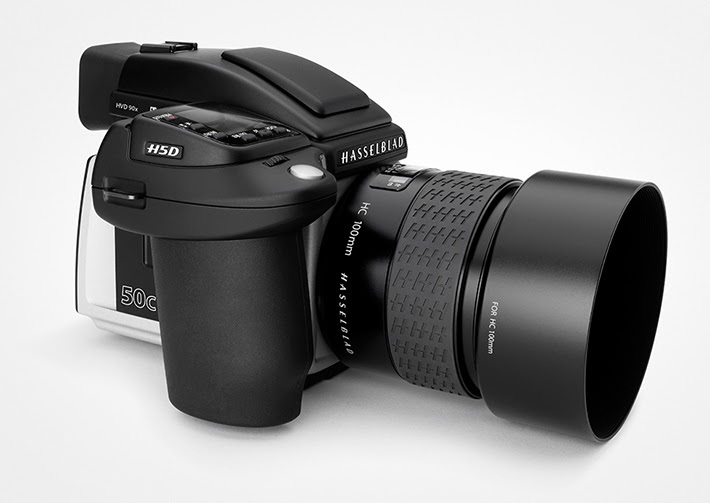 If Sony does decide to enter the MF space, they will not be directly competing with Hasselblad because their new entry may be a 'mini' version of a full sized MF camera. The word is Canon may also enter the Medium Format arena. In my opinion, this will be an unnecessary distraction for them at this time. Medium Format photography is a niche market and should be left to niche companies. Canon needs to rethink its product strategy and concentrate on its strength. 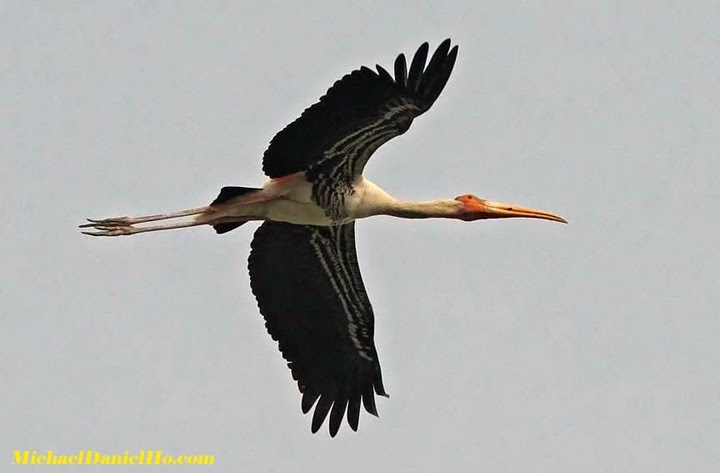 They are way behind in their meaningful product introduction - the EOS-7D Mk II camera and EF 100-400mm f/4-5.6L IS II lens, just to name a couple. Then there is the 'mega pixel' camera project, new Super Telephoto lens using the Diffractive Optics technology. 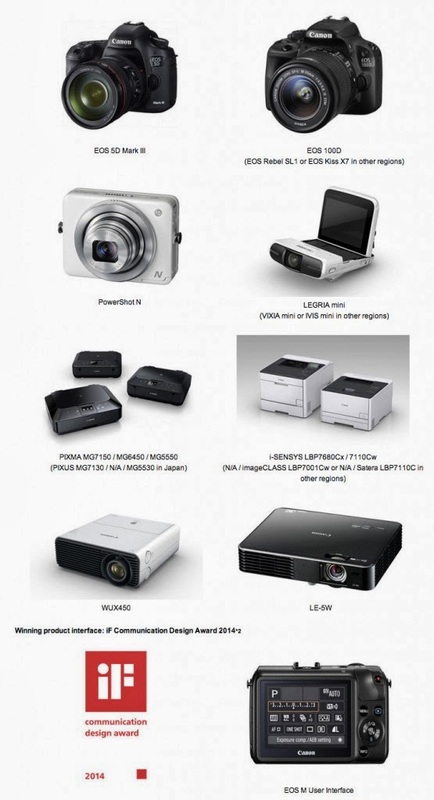 The list is long and these products will generate more interest and revenue than any Medium Format sales in the future. TOKYO, Japan, March 27, 2014 - Canon Inc. today announced that the Company’s interchangeable-lens digital cameras (digital SLR and compact-system cameras) have maintained the No. 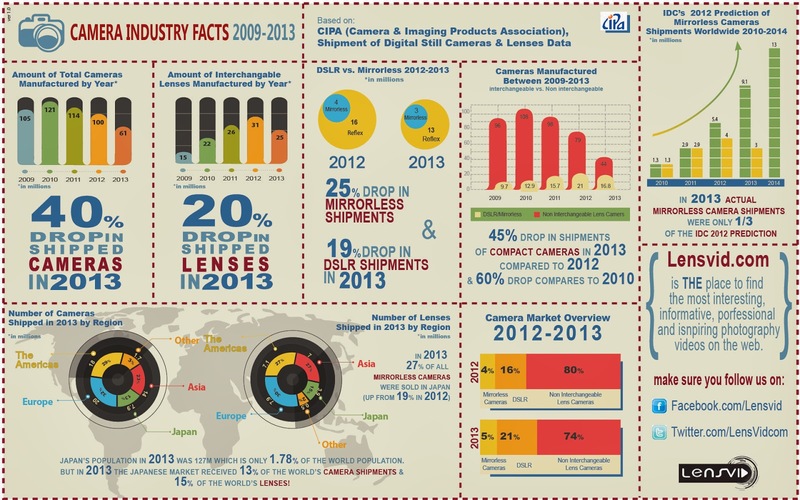 1 share worldwide in terms of volume within the interchangeable-lens digital camera market for the 11-year period from 2003 to 2013. In addition to the interchangeable lenses, Canon also develops the key components—the CMOS image sensors and image processors—employed in its interchangeable-lens cameras. The most advanced of these technologies are incorporated in the Company’s flagship EOS-1D series. By applying these technologies to other models as well, Canon has successfully created a powerful product lineup that effectively responds to the needs of a wide range of users, from professionals to entry-level users, which has enabled Canon to maintain the top global share. TOKYO, Japan, March 27, 2014 - Canon Inc. today celebrated a camera-manufacturing milestone as combined production of the Company’s compact digital and interchangeable-lens digital cameras surpassed 250 million units on January 31, 2014. At the time, compact cameras were leading the digital shift within the camera industry. In 1996, Canon announced its market entry with the introduction of the PowerShot 600, the Company’s first compact digital camera. In 2000, amid the market’s rapid growth, Canon launched the IXY DIGITAL (PowerShot S100 or DIGITAL IXUS in markets outside of Japan), featuring a ground-breaking compact, stylish body design that set the trend for compact digital cameras. Subsequent models released by the Company reflected the diverse evolution of compact digital cameras with models becoming increasingly compact and lightweight, achieving higher sensitivity, incorporating more enhanced automatic functions, and realizing greater network connectivity. This evolution fueled robust growth as Canon’s cumulative production of compact digital cameras surpassed the 100-million-unit mark in 2008, and broke through the 200-million-unit threshold in December 2013. 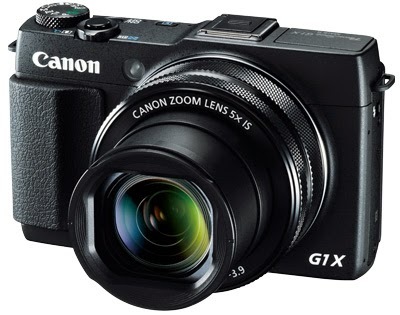 Aiming to further extend its production volume, in 2014 Canon launched a new lineup of compact digital cameras that let users enjoy high value-added photography, including the PowerShot G1 X Mark II, designed to deliver the highest levels of imaging performance, and the new-concept-model PowerShot N100. As for interchangeable-lens digital cameras, while the market in the mid 1990s had consisted primarily of professional models, with the start of the 2000s, the segment rapidly took off. In 2000, Canon launched the EOS D30, developed as a “next-generation standard digital SLR camera” to satisfy the needs of a wide user base, from advanced photo enthusiasts to professional users. In 2003, Canon again led the market with the introduction of the entry-level-model EOS Kiss Digital (EOS Digital Rebel or EOS 300D), which set the stage for dramatic expansion of the market. 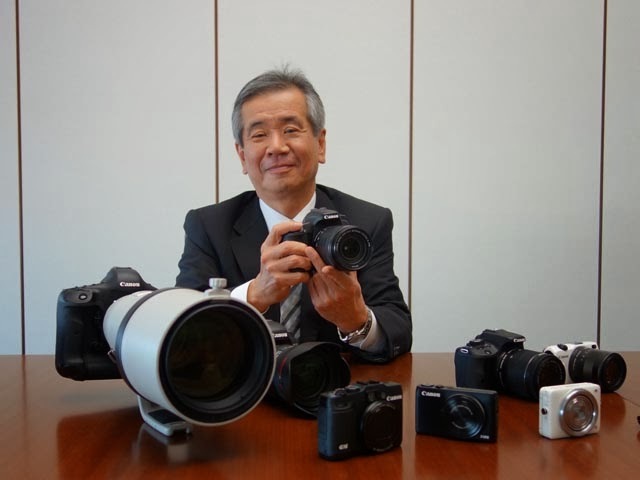 Since that time, Canon has successively launched innovative products that capitalize on the Company’s strengths in CMOS sensors, image processors and EF lenses, such as the professional-model EOS-1 series and EOS 5D series targeting advanced-amateur users, as well as the compact-camera-system EOS M series. As a result, in 2005, production of Canon interchangeable-lens digital cameras reached 25 million units and, in February 2014, surpassed 50 million units. 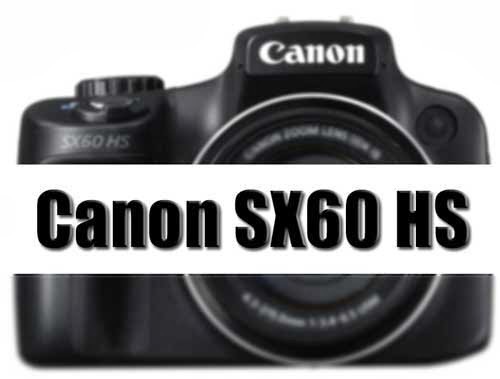 Among the new products worthy of note that contributed to the realization of this milestone were the EOS 70D, featuring innovative Dual Pixel CMOS AF autofocus technology, and the entry-level EOS Kiss X7 (EOS Rebel SL1 or EOS 100D), which combines a ground-breaking compact, lightweight body design with advanced basic performance. 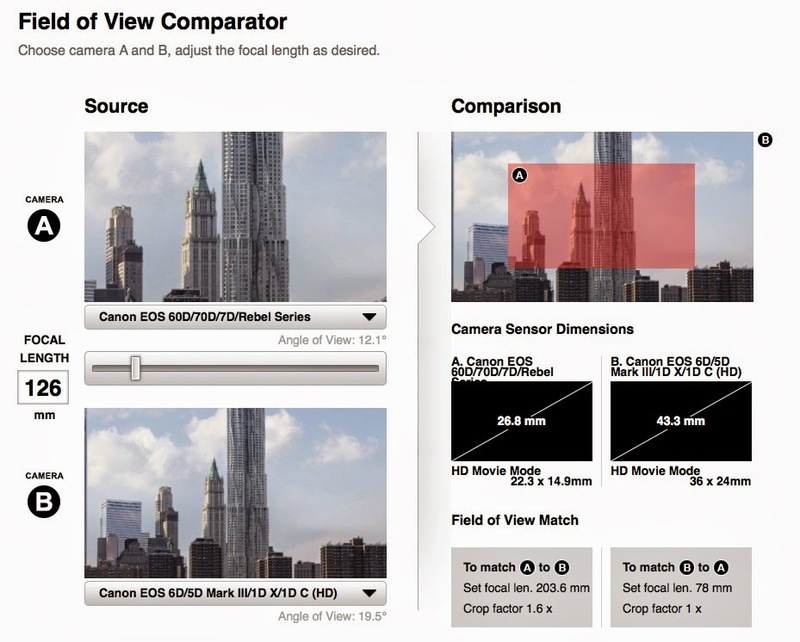 The Canon Digital Learning Center put an interesting online tool to demonstrate the field of view of any lens. With this Field of View Comparator tool, one can adjust the focal length from the 8mm fisheye to 800mm Super telephoto lens. Two cameras can be compared at the same time, so it is possible to compare different sensor sizes. We are informed Canon is planning to introduce a new camera in the second half of 2014, possibly called the EOS-3D. It appears to be the big brother of the current EOS-5D Mk III and may come with a much higher resolution sensor and 4K video option features. 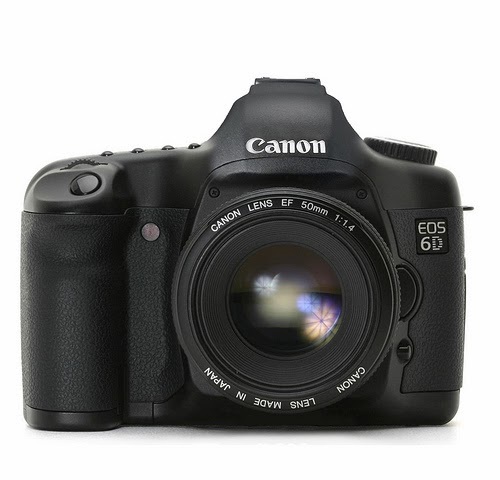 The price will be 'much' higher than the EOS-5D Mk III and if true, the replacement Mk IV camera will be pushed into 2015. 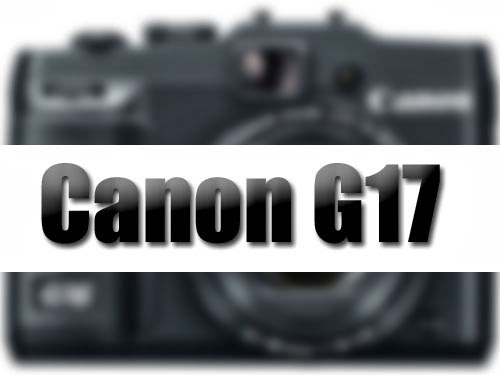 Ever since the retirement of the EOS-1Ds Mk III and EOS-1D Mk IV, Canon is left without a professional 'mega pixel' and 'sports' camera respectively. 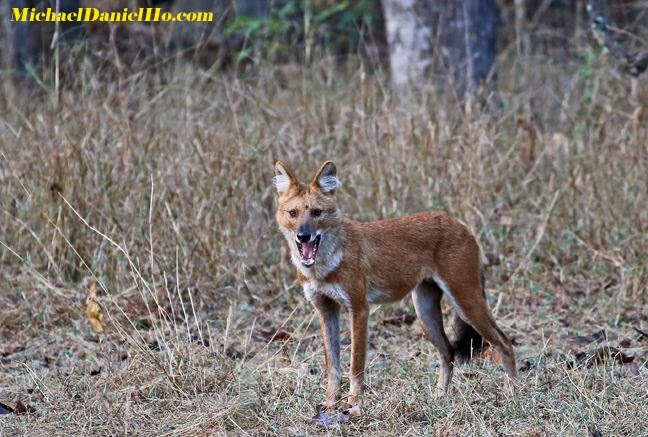 Although the current EOS-1D X can shoot at lighting speed of 14 fps, it is technically not classified as a sports or wildlife camera. I would welcome a new sports camera designated as the EOS-1D Mk V but it may come with a new DSLR body design. My only 'complaint' with the EOS-1D X is the full frame sensor sometimes lacks the additional reach of the APS-H. I loathe carrying heavy Super Telephoto lenses around on my photo shoots and use extenders only sparingly. The only exception I make is for the EF 200-400mm f/4L IS USM Extender 1.4x lens. Keep checking back for the latest information. Sigma is planning to announce the list price of their highly anticipated 50mm f/1.4 Art lens some time in April, 2014. They boast the new glass will have image quality equaling the Zeiss Otus 55mm f/1.4 lens, currently the champion of the 50mm lens lineup, with a list price of $4,000. The list price of the Sigma lens is expected to be about $1,000. Only time will tell how much is hype and how much is reality although I can tell you immediately a $4,000 lens does not take a photo 4 times better than a $1,000 lens. 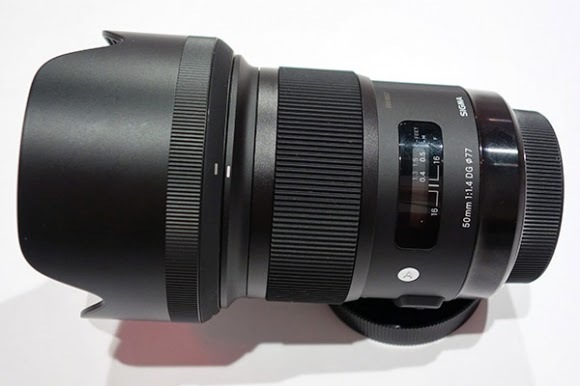 The new Sigma lens will be a very good value if it delivers an almost equal IQ than the Zeiss. Canon is expected to announce a new 50mm f/1.4 lens some time this year as well. The venerable 'Big Daddy' 800mm lens is showing its age. 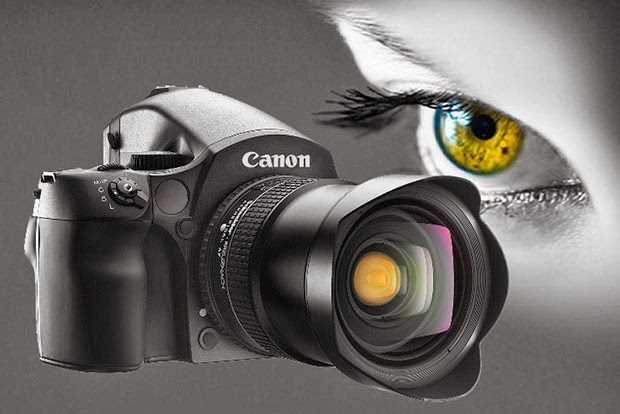 Canon is working on its successor and may announce its development prior to Photokina 2014 in September. 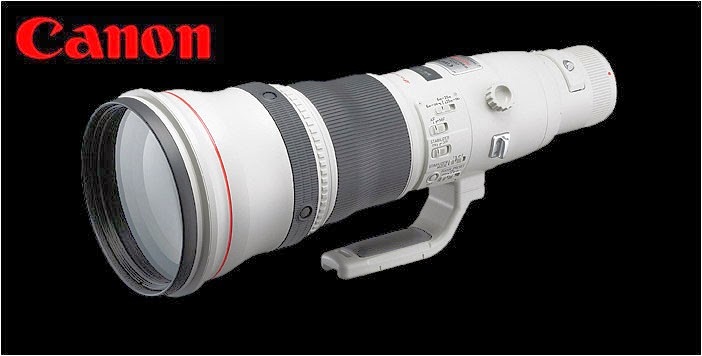 This is one of Canon's oldest Super Telephoto lenses and can benefit from the latest material and optics improvement already found on Canon's Series II Super Telephoto lens lineup. The current model may have ceased production already and dealers are encouraged to exhaust their inventory on hand. Look for additional news around the autumn time frame. After the firmware update has been performed, the following setting will be reset to default. Please review the instructions thoroughly before you download and install the new firmware. MELVILLE, N.Y., March 19, 2014 - Canon U.S.A. Inc., a leader in digital imaging solutions, announced today that the Canon Professional Services (CPS) program has been expanded and now provides support for all Cinema EOS products. Created over 30 years ago to support professional film photographers, CPS has evolved through the years to keep pace with the changing needs of the modern imaging professional. A new CPS Cinema level has been added to the current Silver, Gold and Platinum levels continuing Canon’s commitment to support professional imaging customers as their needs grow and expand. In order to better serve corporations like newspapers, rental houses, schools and universities, Canon has also developed an Enterprise level of CPS support. Enterprise CPS is a customizable program developed to provide service and support benefits that meet the unique needs of medium-and-large sized companies who own large quantities of Canon imaging products. Customized benefits of Enterprise CPS can include any or all of the benefits of regular CPS membership in addition to on-site maintenance service, expanded product support and more. MELVILLE, N.Y., March 6, 2014 – Canon U.S.A., Inc., a leader in digital imaging solutions today announced that its parent company, Canon Inc., has ranked among the top global companies, placing sixth overall and third internationally in the computers category of this year’s Fortune World’s Most Admired Companies list. In the international computers category, Canon ranks as the top Japanese company and the sole representative of the imaging industry. Contributing to their rankings, Canon has received high accolades for innovation, quality of products/services and financial soundness. 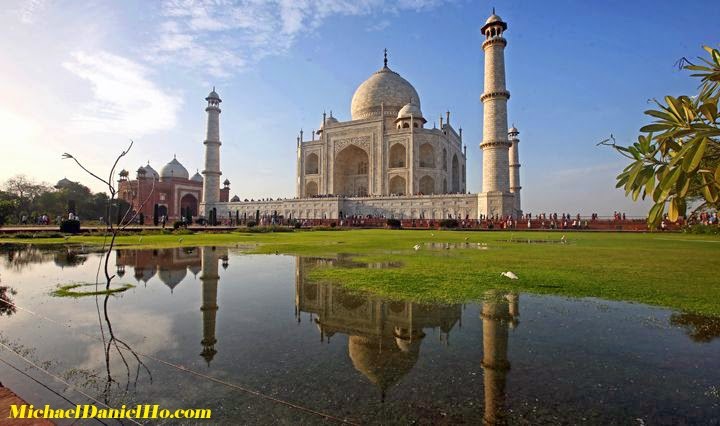 I am off to India for a photo shoot. 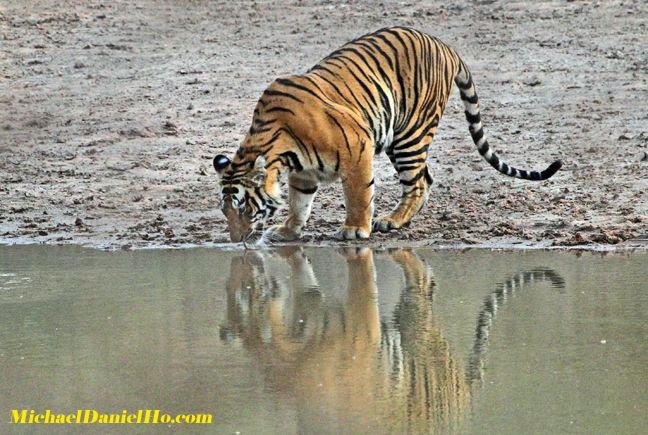 Will be visiting a few Tiger reserves and doing some travel photography as well. 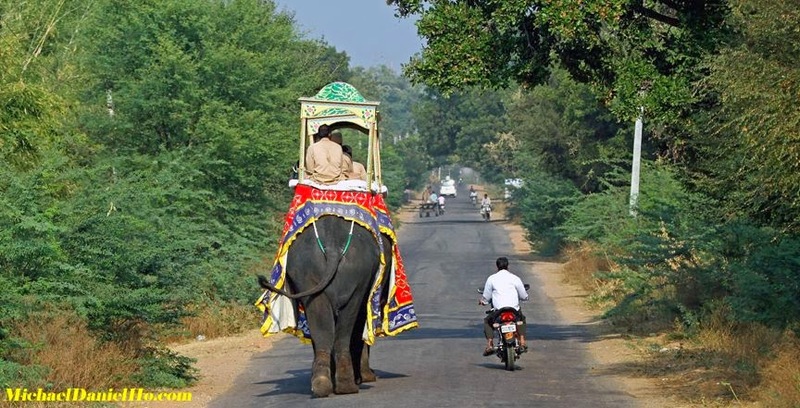 In some of the national parks, I will be on the backs of Indian elephants looking for tigers. This adds another level of experience to an already exciting safari journey. 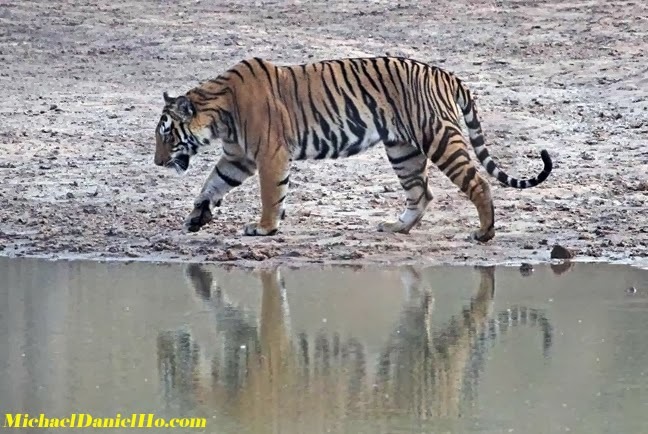 Looking forward to finding out more about how these magnificent animals are fighting to avoid the relentless slaughter from poachers and smugglers with the help of the National Tiger Conservation Authority. I will be unable to keep in touch because there are no Internet access in the jungles and countryside. Have to wait till I return in late March to reconnect. 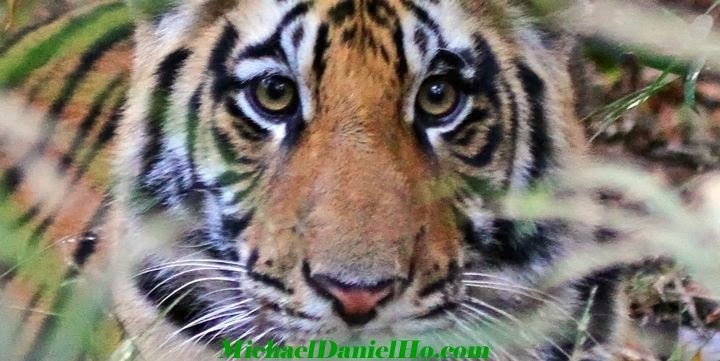 In the meantime, visit my website MichaelDanielHo.com and click on the Animals page to see photos and read stories from my previous trips. Wish me luck on my sightings and encounters. 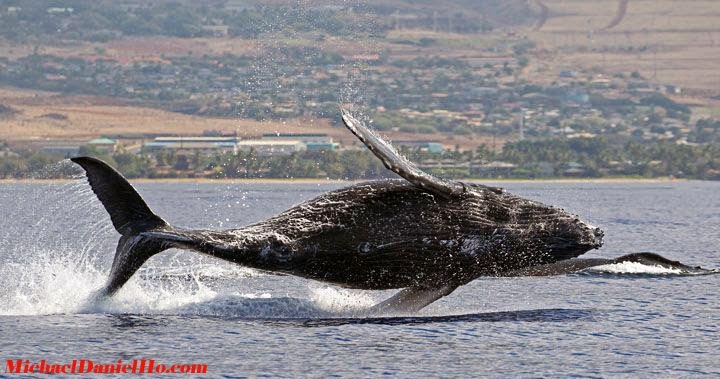 My last whale photo shoot in Maui is just average. I need a break to get some spectacular images. 2013 was a very bad year for the photography industry. CIPA (the Camera & Imaging Products Association) published the official numbers a few weeks ago, and LensVid made the above graphic to distill some of the more salient facts and data. Last year, the industry experienced a 25%, 19% and 20% drop in mirrorless, DSLR camera and lens shipments, respectively, compared to 2012. There is no single answer to the decline although a few things have contributed to the overall drop. The cameras in smart phones are getting much better. 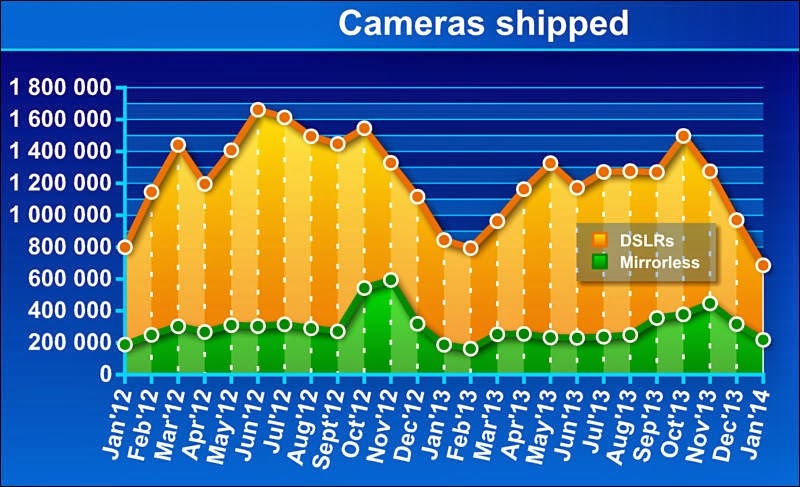 Mirrorless camera sales are only a hit in Asia, the rest of the world is not very excited by this technology. Could people feel less wealthy to indulge in the latest photographic gear when they can make do with the ones they already have? I have my own opinions on this and made some observations and suggestions on Canon but it can apply generally to the photography industry as a whole. Since I have been using Canon equipment for 25 years, I will limit my comment to this company. In the last few years, many models came out but most of the them are same old technology wrapped in slick marketing campaigns or fluffy technology that serves little purpose. There are only 3 cameras that represent a meaningful advance in the last few years - EOS-7D, EOS-5D and EOS-1D X. Some consumers are beginning to see through the hype and decide to keep their present equipment instead. So Canon decided to increase the features of some cameras and lower their prices. Giving more for less is not a winning, long term strategy. Most customers are willing to pay more to get more. Paying less and getting more is the same definition as deflation and can be very injurious to any business. It is important to point out Canon Inc. is a very large, multi-billion dollar company and photography sales represent only a fraction of its overall business. 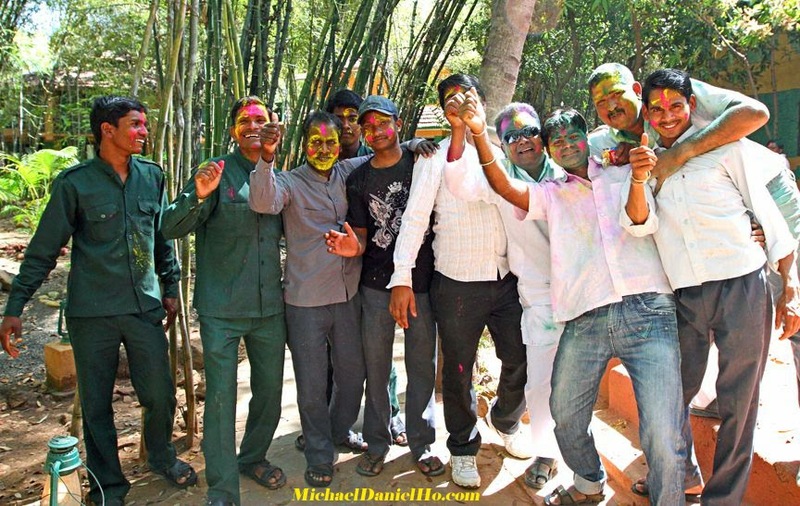 They are the largest photography company in the world and will definitely bounce back. 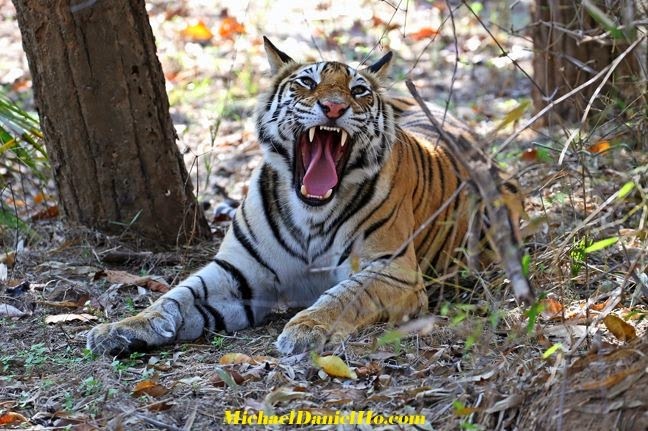 I am going on a tiger/wildlife photo shoot in India and will not be able to write this Blog while I am away. You can visit my MichaelDanielHo.com to see my works until I return in late March. Canon USA announced a 'L' lens rebate of up to $200. The program ends on March 29, 2014. If you have ever wanted to own the 'L' series of Canon's extensive EF lens lineup or just buy more, now is a great time to visit your favorite camera store or website. Click on the above link to see which models are on sale. TOKYO, February 28, 2014 - Canon Inc. announced today that nine Canon designs were recognized by iF International Forum Design GmbH with prestigious 2014 iF Design Awards in the product design and communication design categories. iF Product Design Awards went to the EOS 5D Mark III and EOS 100D (EOS Rebel SL1 or EOS Kiss X7 in other regions) digital SLR cameras, the PowerShot N compact digital camera, the LEGRIA mini (VIXIA mini or IVIS mini) camcorder, the PIXMA MG7150 / MG6450 / MG5550 (PIXUS MG7130 / N/A / MG5530 in Japan) inkjet printers, the i-SENSYS LBP7680Cx / 7110Cw (N/A / imageCLASS LBP7001Cw or N/A / Satera LBP7110C) color laser beam printers, the WUX450 multimedia projector, and the LE-5W LED projector. The iF Communication Design Award went to the user interface for the EOS M compact-system camera. Established in 1953, iF Design Awards are recognized as one of the most prestigious awards within the field of design. Every year iF honors excellent design in three disciplines: product, communication and packaging design. Canon won its first iF Product Design Award in 1989 for an office copying machine and, since that time, has been awarded for a wide range of products, including cameras, video camcorders and copying machines. This year marks Canon’s 20th consecutive year of winning iF Design Awards and brings the Company’s cumulative award count to 90. Encouraged by the recognition of the Company’s design excellence, Canon will continue striving to realize products that combine the highest levels of performance and design.